Serhan + Swift are an Australian loudspeaker manufacturer who are new to the marketplace in the UK, but are highly well thought of down under. Based out of the Sydney Serhan + Swift have won countless awards for their brilliant designs. 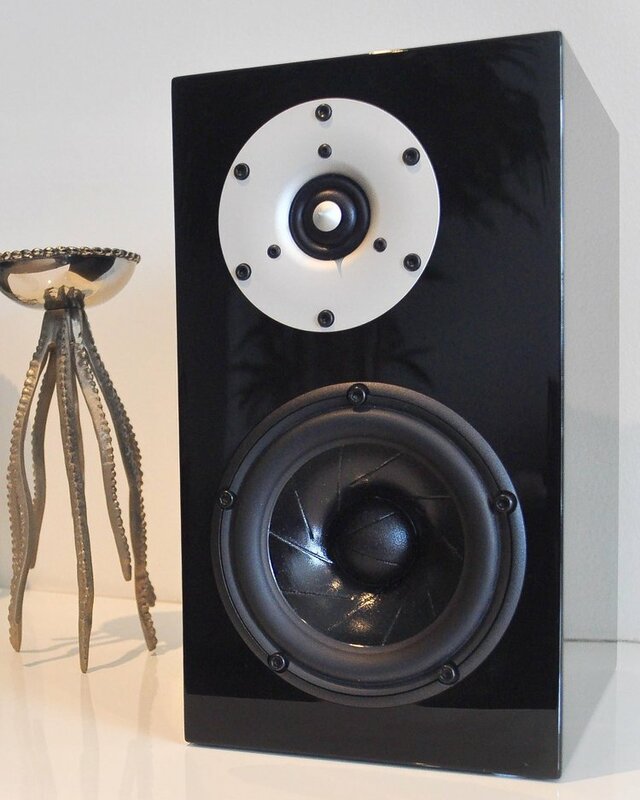 Co-founder Brad Serhan has been designing speakers for over 30 years founding Orpheus Loudspeaker back in 1984. In 2017 Brad received the Lifetime Achievement Aware from ‘Sound & Image’. Morris Swift is the other co-founder and is a highly skilled electrical engineering. When I first saw these speakers were being brought into the UK I was keen to have a listen to them, as I’ve always had a soft spot for a a high quality stand-mount and on paper they looked great. As I mentioned in a recent blog post I got to spent a bit of time with a few weeks ago to evaluate their performance and it’s safe to say they comfortably exceeded all of my expectations. It was plain to see when you look at the specification and see the speaker in the flesh that Serhan + Swift have really gone to town with this speaker, the attention to detail is incredible. It takes 1 day to manufacture 1 speaker and everything is tested and tested and listened to every step of the way. Most speakers are built to a price, these were built to make them as good as they could be and were only priced when they had finished them. They are effortlessly musical and a real joy to listen to, like a typical good stand-mount they are incredibly fast and agile and can easily fill the demo room with no effort whatsoever. Considering how compact the cabinet is they produce some decent bass and have great scale, putting them a bit closer to the rear wall certainly helps in this regard, but there is not shortage of bass and mine are in plenty of free space. As you can see you looking at the image above the tweeter is offset in the cabinet, this is done deliberately to aid with off-axis diffraction of the tweeter. It also gives you great flexibility with in-room placement. Conventional placement is with the tweeters on the inside and this delivers a really tight focused image, but if you swap the speakers around so the tweeters are on the outside they sounded less focused but sound bigger. I prefer them with the tweeters on the inside, but it may vary from room to room. As a brand name Serhan + Swift are obviously unknown and unheard of in the UK. Most people looking for a new pair of speakers at this sort of price point will naturally gravitate towards the more established marques in the marketplace. Do yourself a favour and give the Mu2 a listen – I would confidently put this up against any award winning, editors choice, 5 star award winning stand-mount from any of the so called class leading speaker brands. There’s a new kid on the block and I’m confident the Mu2 will ruffle some feathers and make your neck hair stand on end!